TUF 27 Ep. 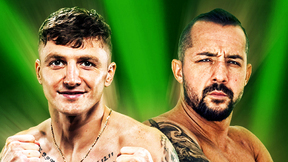 1 Good Day for a Fight Apr 18, 2018 (42:30) For the first time ever, sixteen undefeated fighters from around the world -- eight lightweights and eight featherweights -- come to Las Vegas to compete on The Ultimate Fighter. The competition begins with coaches Daniel Cormier, the current UFC light heavyweight champion, and Stipe Miocic, the current UFC heavyweight champion, putting the fighters through drills to evaluate their skills. After UFC President Dana White arrives and greets the fighters, the coaches pick their teams and choose the first preliminary matchup. TUF 27 Ep. 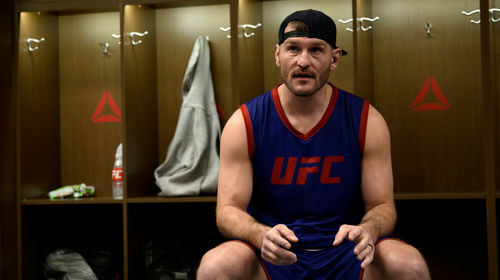 2 Fight or Flight Apr 25, 2018 (42:53) Stipe Miocic gets creative redecorating the opposing team’s locker room. A fighter has a heated exchange with Cormier during practice. Then, the two most well-rounded featherweights in the competition go head to head in the Octagon. 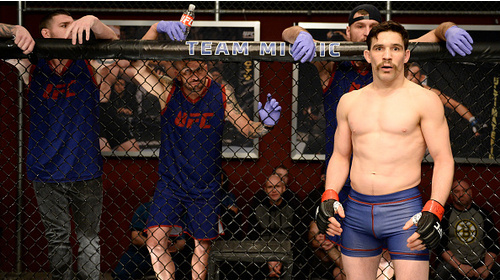 TUF 27 Ep. 3 Pressure Makes Diamonds May 2, 2018 (42:54) Two fighters get into a heated argument in the team van. During his weight cut, an irritable fighter has choice words for the house loudmouth. Then, two lightweights face off in the third preliminary fight. TUF 27 Ep. 4 Straight Savage May 9, 2018 (42:54) A serious injury threatens to take a fighter out of the competition. 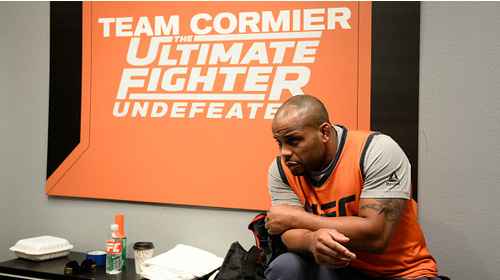 Daniel Cormier leaves Cain Velasquez temporarily in charge of the team. Then, two featherweights battle for a spot in the semifinals. TUF 27 Ep. 5 Break His Will May 16, 2018 (42:45) Things get heated between the teams after an assistant coach discovers that one of the fighters on the opposing team is injured. Then, two lightweights face off in the fifth preliminary fight. TUF 27 Ep. 6 Dig Down Deep May 23, 2018 (42:53) Tensions rise at the house after a fighter tries to provoke his opponent. Two losing fighters lobby Dana to get back in the competition. Then, the third featherweight fight determines the next semifinalist. TUF 27 Ep. 7 The Cookie Crumbles May 30, 2018 (42:35) One of the fighters receives devastating news that affects his standing in the competition. 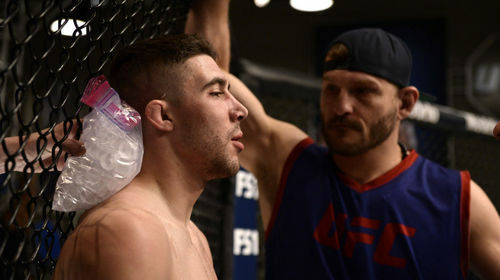 Then, in the buildup to the seventh preliminary fight, a lightweight encounters unexpected physical problems that put his fight future in doubt. TUF 27 Ep. 8 Face Your Fears Jun 6, 2018 (42:46) A controversial fighter faces off against one of the top featherweights in the last preliminary fight of the season. 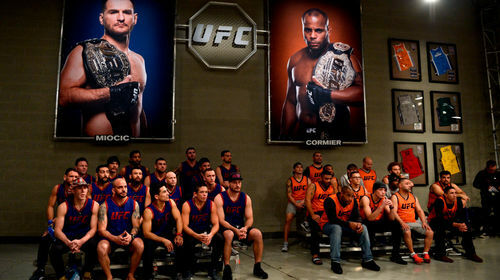 Dana White meets with the coaches to discuss the semifinals and the matchups are announced. TUF 27 Ep. 9 Guns Blazing Jun 13, 2018 (42:24) With the preliminary fights in the rear-view mirror, the teams celebrate with an evening out racing exotic cars. Two UFC champions, current featherweight champ Max Holloway and former middleweight champ Luke Rockhold, pay a visit to a Team Cormier training session. 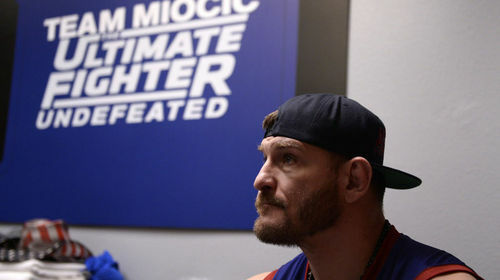 Then Miocic teammates face off in the first semifinal fight. TUF 27 Ep. 10 Embrace It Jun 20, 2018 (42:35) UFC lightweight Michael Chiesa visits Team Cormier at the gym. 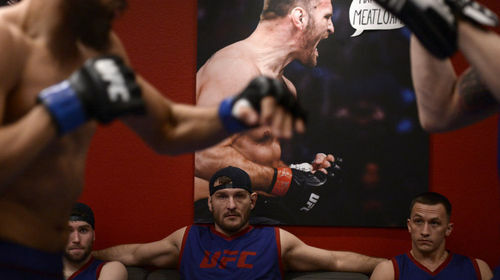 Miocic joins the fighters at the house to watch Fight Night. Then, two teammates leave it all on the line for a spot in the featherweight final. TUF 27 Ep. 11 Ready for War Jun 27, 2018 (41:42) Cormier and Miocic take to the ice for an intense and entertaining coaches challenge. Then, two lightweights face off in the third semifinal fight. TUF 27 Ep. 12 Blood, Sweat, Tears Jul 4, 2018 (41:21) With only one fight remaining in the competition before the live finale, Cormier surprises his team by hiring a private chef to cook a goodbye meal. 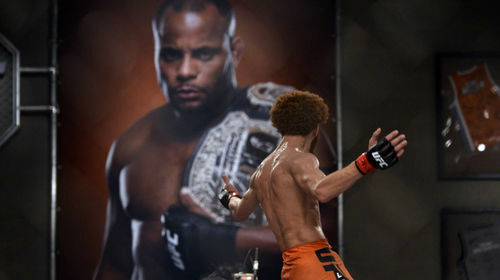 Then, two warriors engage in an epic battle to determine who moves on to the featherweight final. 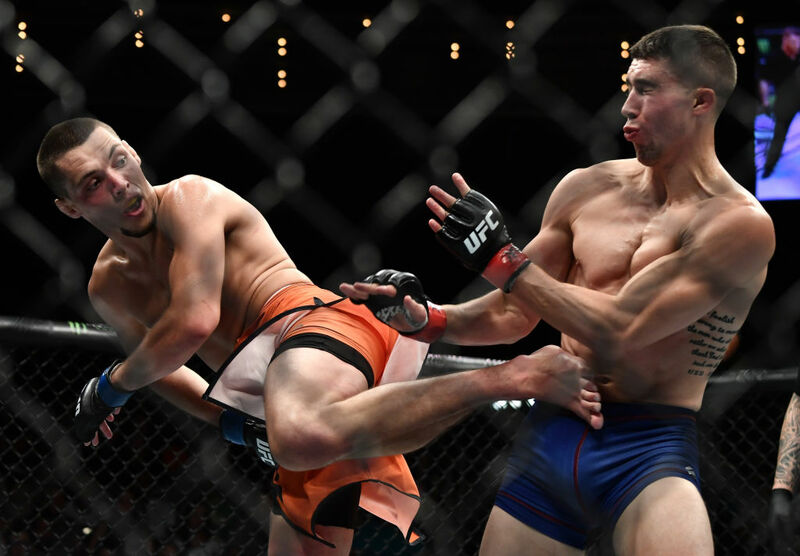 Mike Trizano vs Joe Giannetti TUF 27 Finale Jul 6, 2018 (24:32) Mike Trizano vs Joe Giannetti at TUF 27 Finale from July 6, 2018 in Nevada, USA. 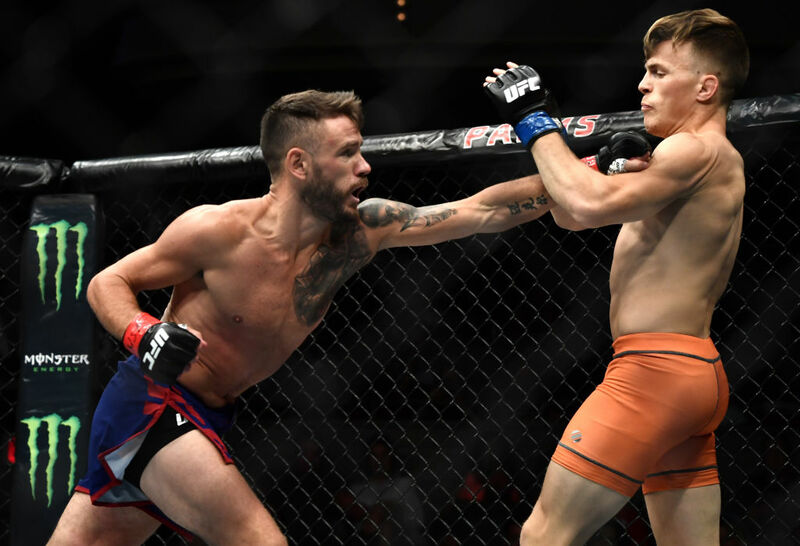 Brad Katona vs Jay Cucciniello TUF 27 Finale Jul 6, 2018 (25:25) Brad Katona vs Jay Cucciniello at TUF 27 Finale from July 6, 2018 in Nevada, USA.